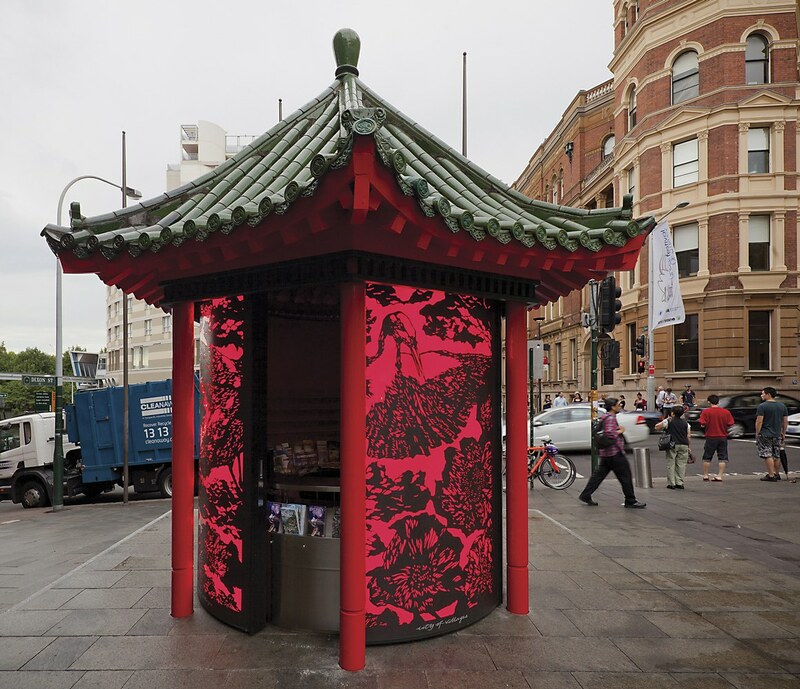 "We were briefed to reconfigure an existing seating pagoda into an Information Kiosk in Chinatown, we wanted to create a piece of architecture which has longevity and resonates with the local Chinese community. 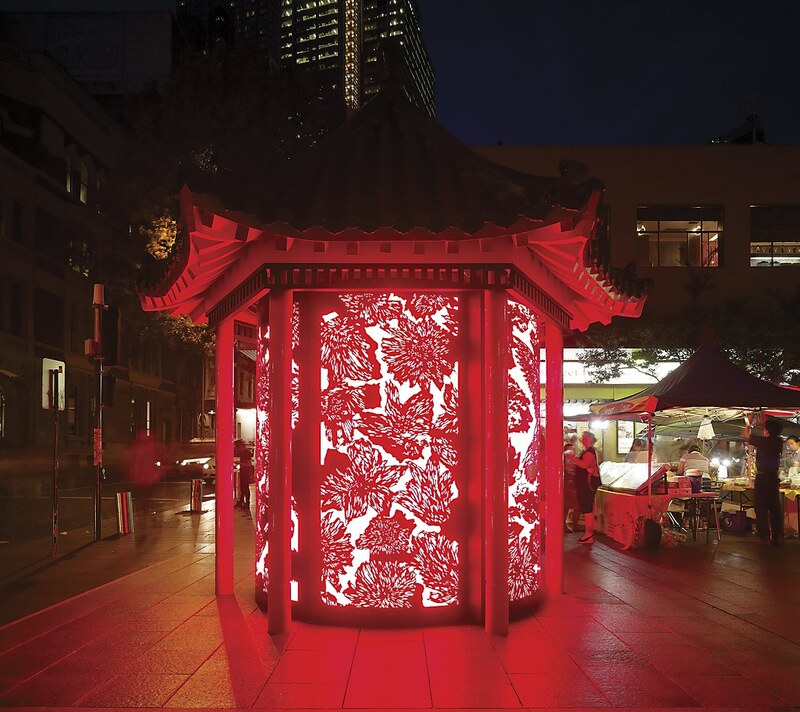 Our design approach was inspired by the beauty of the traditional Chinese lanterns, we worked closely with Pamela Mei-Leng See, an artist specializing in paper cut works, to create a stunning paper cut design for the 6 x 230kg curved walls that encased the kiosk. 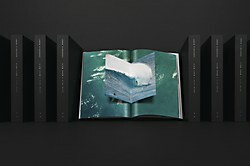 The paper-cut design represents the residual chrysanthemum flowers in a ceramic vessel after the tea has been steeped and poured, and the ceramic pattern underneath the flowers is intended to bring prosperity (fish) and longevity (stork). At night the pattern is backlit by 4,000 hand placed LED lights creating a mesmerizing glowing beacon, reminiscent of the illuminated red lanterns"